I’ve been wanting to take a trip inside the 63 building for quite sometime. I guess I sort of have a thing for skyscrapers. 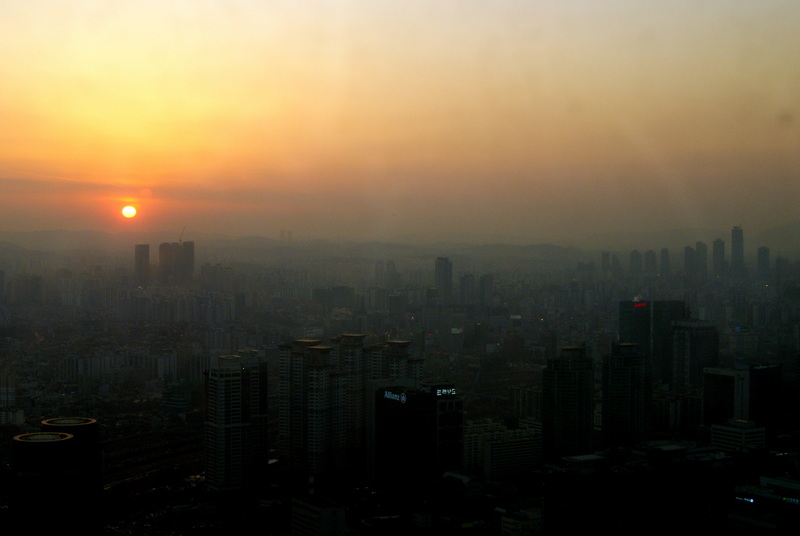 More than anything though, I wanted to get a bird’s-eye view of Seoul. At its completion, the 63 building was the tallest building in Asia. Since then, the skyscraper frenzy on the continent has knocked it way down the list. It isn’t even the tallest building in Korea anymore; however, it’s still an interesting one. The 63 building is home to an aquarium, an IMAX theater, and the highest museum in the world. The tower offers some impressive views and many photo opportunities. Though the dirty windows and the haze of the city can make it difficult to take quality photos.